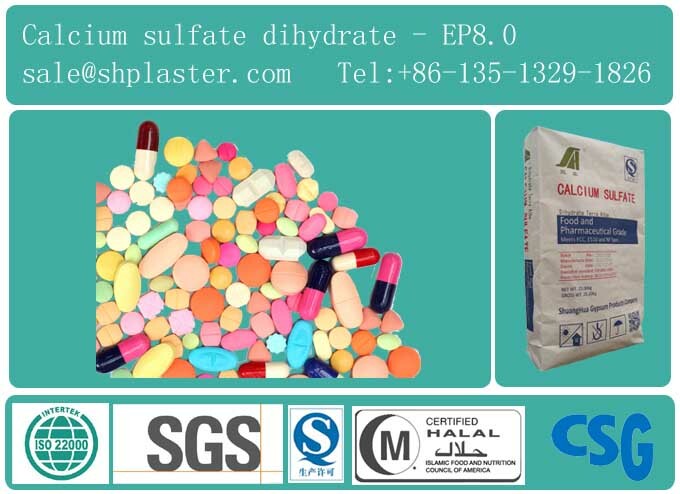 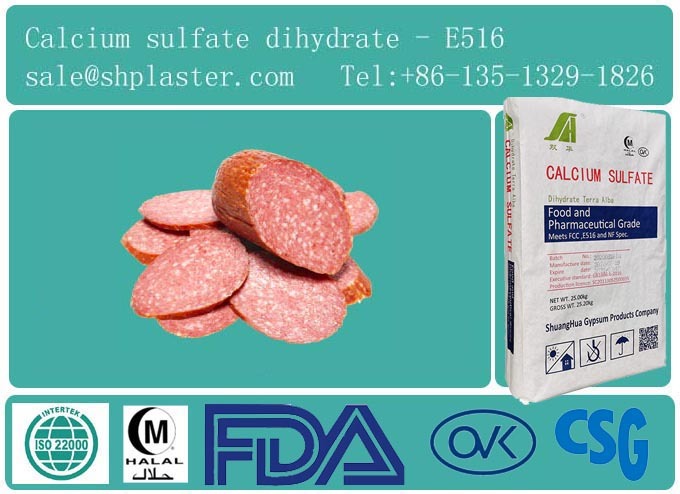 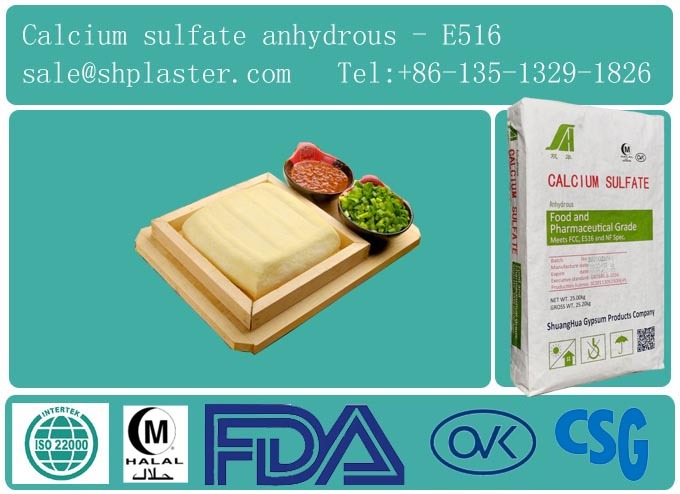 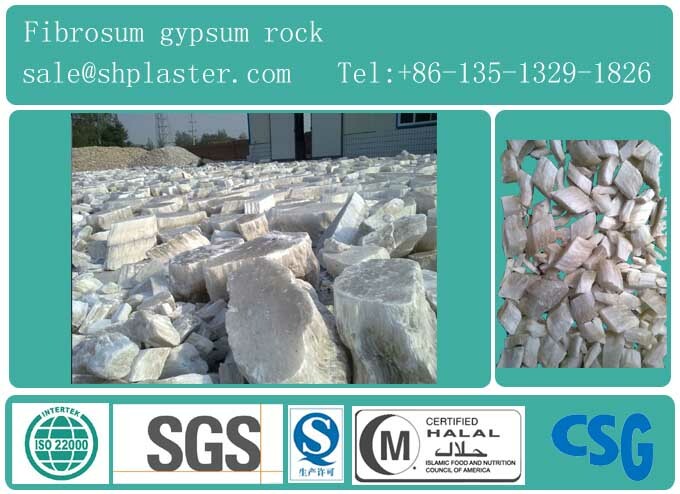 Food grade calcium sulfate as a stabilizer and coagulator, thickening agent, acidity regulator with alginate, carrageenan, gelatin mixture can be used for products of meat, ham sausage, bacon etc. 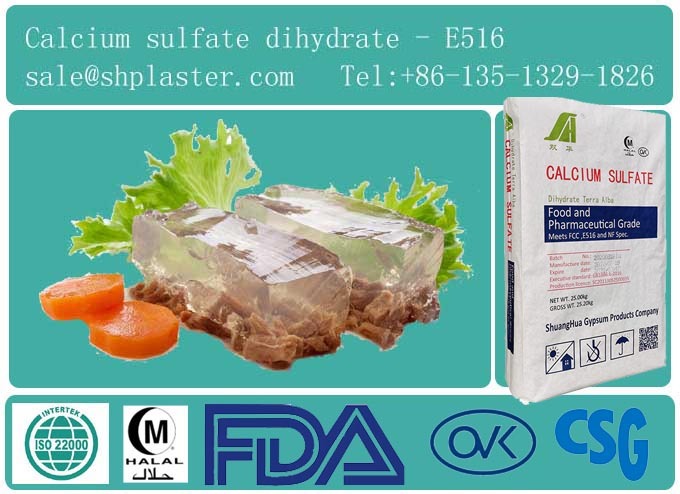 Sodium alginate and food grade calcium sulfate formed by the gel used as a binder. 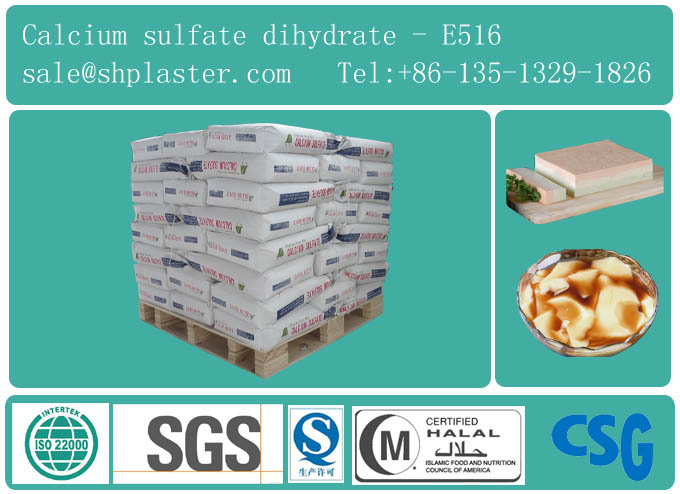 And it is directly related to the quality of meat products, such as texture, tenderness, slicing, elasticity, texture, and so on. 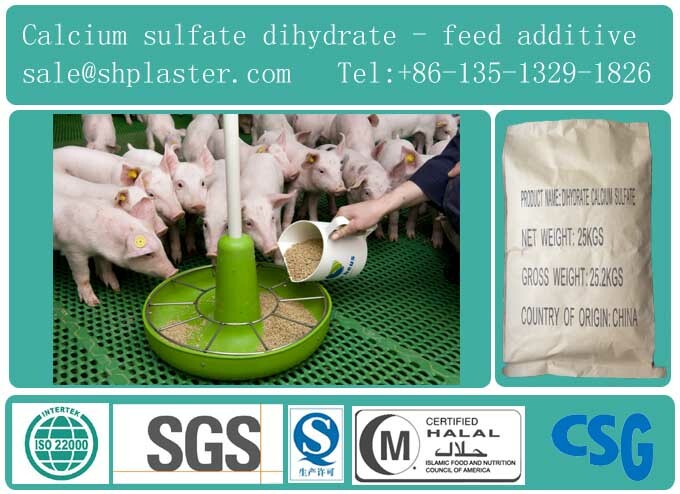 It also affects the economic benefits of meat enterprises.